Why store items in storage units? The main reason is to keep your belongings safe when you don't have room for them in your home. But leaving things in storage does not ensure their safety; in fact it could even be putting them at risk. What should you do to keep your belongings safe while they are in storage? Unfortunately, leaving items unattended in a unit for a long period of time exposes your belongings to several risks. Since you are rarely at your storage unit, you can't actively protect them. Once you leave your things there, there is little more you can do. Preparation is key. Combatting these risks shouldn't be done after your items are in storage. You need to insure your items, pack them correctly, and find a high quality storage facility to minimize these issues. A storage unit that you rent is legally part of your home. If you have homeowner's insurance, then your items are covered if they are in storage. Remember that more valuable items like antiques, art, jewellery and expensive electronics are not automatically covered to their full value. If anything's value exceeds $1,000, you may have to purchase additional coverage to get full replacement value if it is lost or damaged. A variety of official documentation is the best way to get something expensive accurately insured. Receipts and certificates of authenticity are usually necessary. Packing your belongings to protect them during storage is another way to make sure your items are safe before moving them. Cardboard boxes work well because they let moisture out, yet are sturdy. Only stack boxes if absolutely necessary and make sure the boxes on top are considerably lighter than the boxes on the bottom. Bubble wrap and packing paper should be your go-to packing and cushioning materials. Disassemble anything that can be taken apart. Breaking things down into smaller pieces will save space and limit the stress on an object that is sitting in one position for a long time. Seal everything with packing tape and label the boxes. Items that are particularly vulnerable to moisture can be vacuum-sealed or covered in plastic wrap. Just make sure you're not trapping moisture when using these impermeable materials. The most important part of protecting your items during storage is choosing a good storage facility. Better facilities usually cost more, but when the safety of your belongings is on the line, it might be worth more money to minimize risks. Choose a climate controlled storage unit. These are more expensive but will ensure that things never get too hot or cold for your items. This is especially important if you are storing temperature-sensitive items like photographs. Make sure the unit is fully sealed. Most climate controlled units will have to be practically air-tight to maintain temperatures. If there are open cracks in the corners or walls of a unit, vermin and moisture could be a problem. Check the security measures. Thieves sometimes target storage units that are not secure. 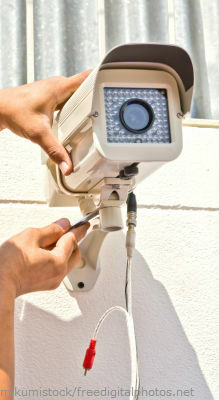 How many security cameras are stationed around the facility? How easy is it for you to get into your unit? Are there guards present at all times? In short, you need to screen your storage facility before committing to it. When it comes to storing your prized possessions, only the best storage facilities will do.